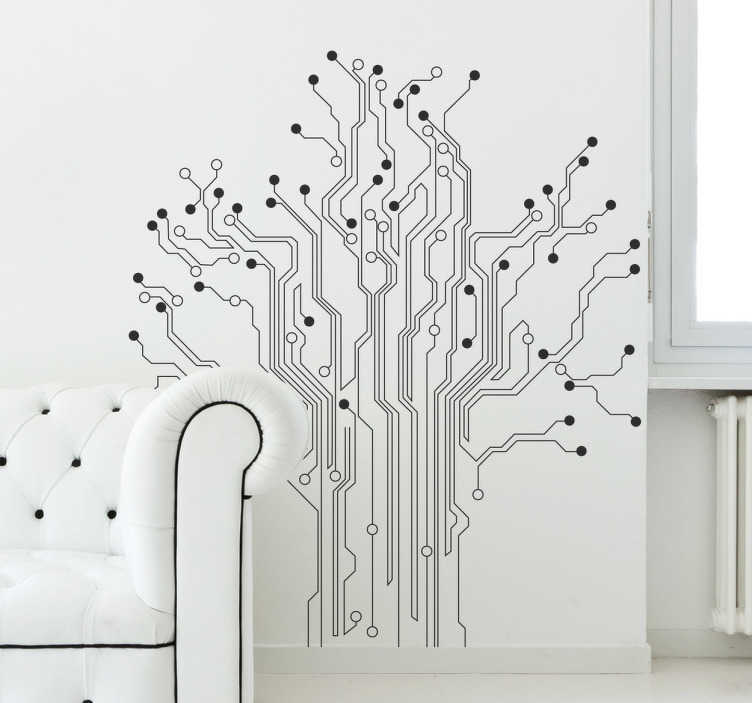 Circuit tree wall sticker that combines the world of nature and technology. Distinctive and original design ideal for decorating any space. The name, the circuit tree, says it all. This technology wall decal represents a perfect blend of science and nature. The intricate design of wires and cables reaching out like branches is a delight for all those techies and nature-lovers out there. While this wall decal will be a perfect partner for your study room, you can also use it in your bedroom, living room and dining hall. Choose a size, colour and orientation for a customised wall mural. Combining science and nature was never so easy!